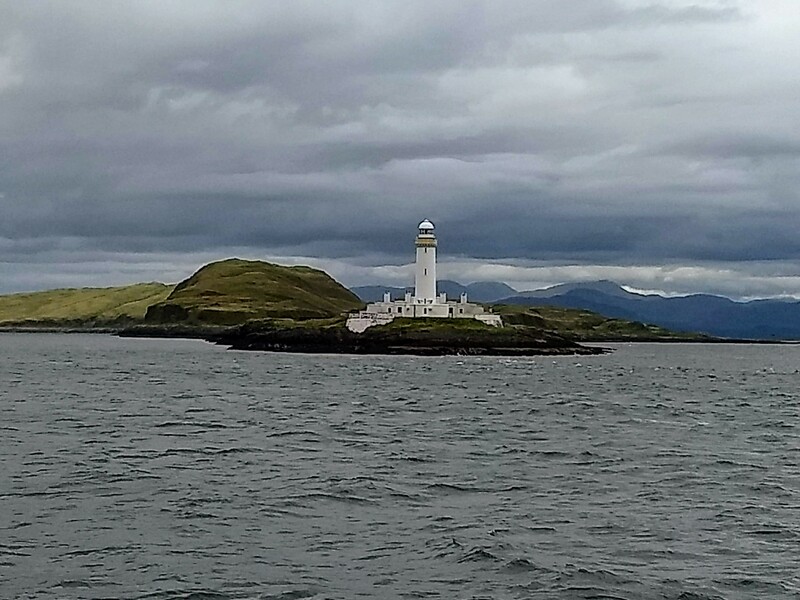 I was lucky enough to be invited on a boat tour out of Oban by St Hilda Cruises. 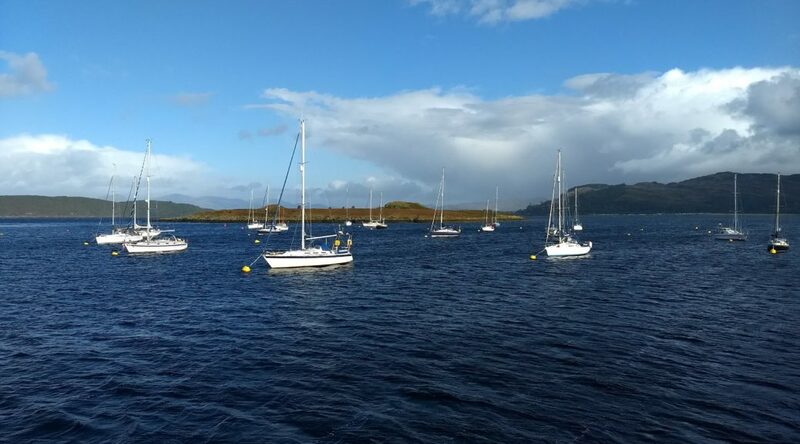 They operate two boats out of Dunstaffnage marina, one sailing boat and one motor boat. 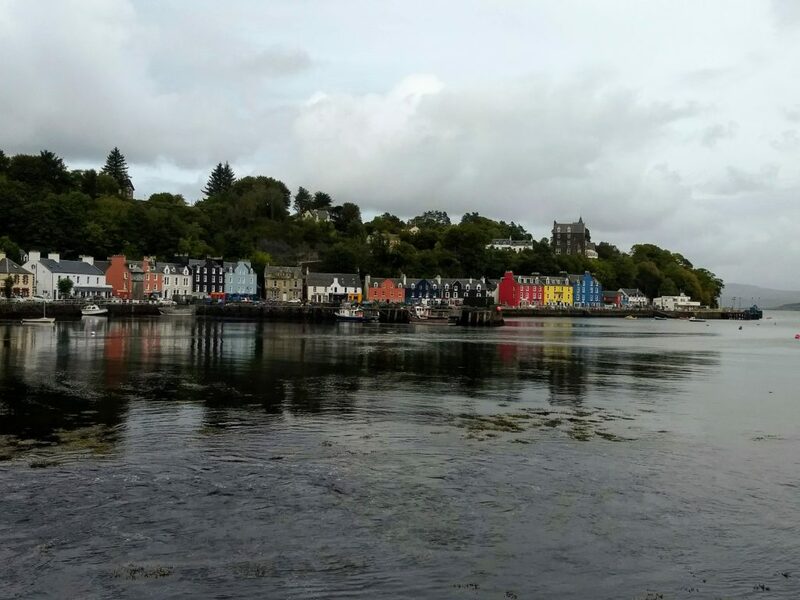 The cruises vary from local 5/6 day trips up to 11/12 day trips to the Outer Hebrides. The trip i was on would take me along the Sound Of Mull, with stops at Tobermory, Loch Aline, Loch Spelve, and a trip to Duart Castle. Cruises around these parts are always weather dependant so be prepared for the schedule to be updated ! 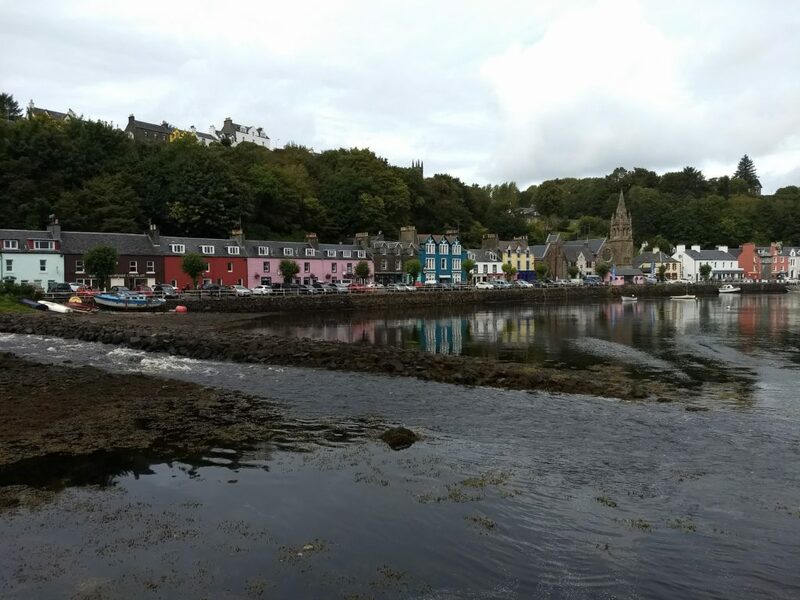 The trip starts from Dunstaffnage marina which is about 3 miles noth of Oban, a short taxi ride away. You are welcomed aboard and given a guided tour and safety briefing of the boat. 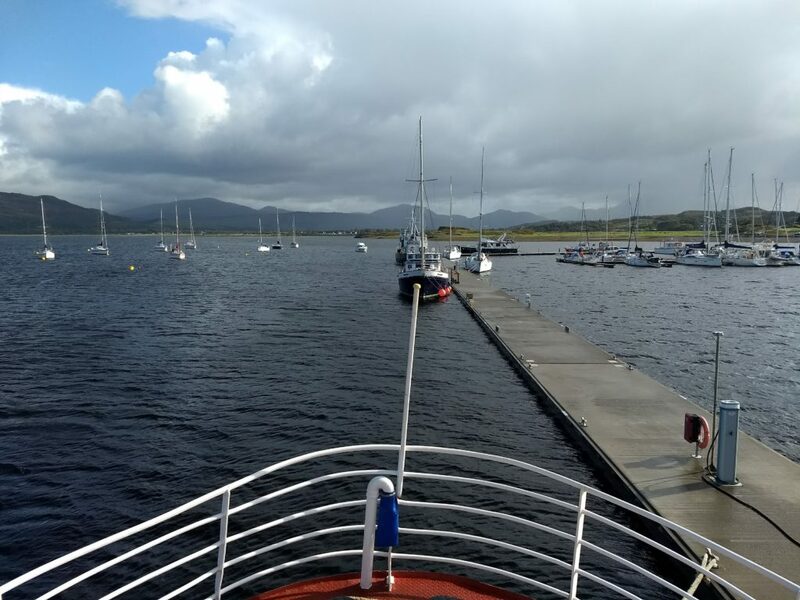 You soon leave the quayside and head out to your first anchorage on your trip. After our first night at anchor we headed for the main town of Tobermory on the Isle Of Mull. 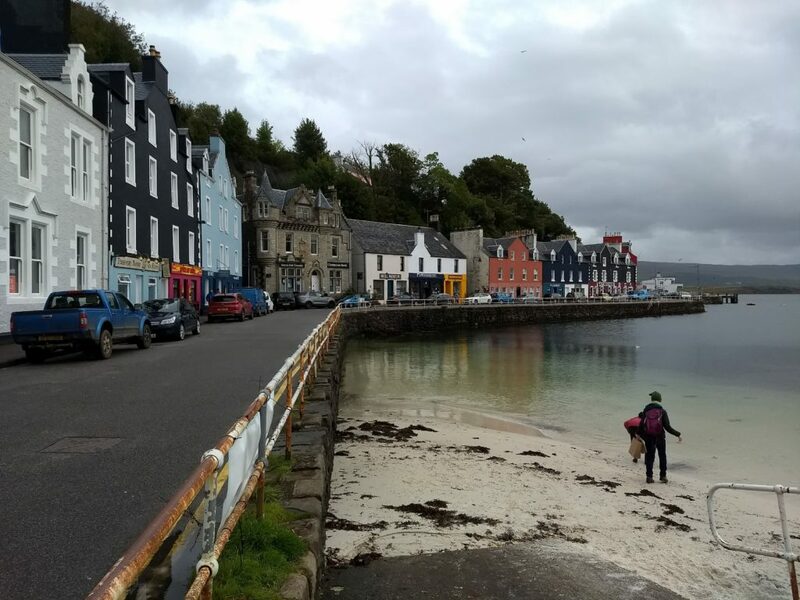 Originally a fishing village it now mainly relies on tourism. With only a couple of bars and hotels, and a couple of cafes theres enough to feed and accomodate the visitors !! 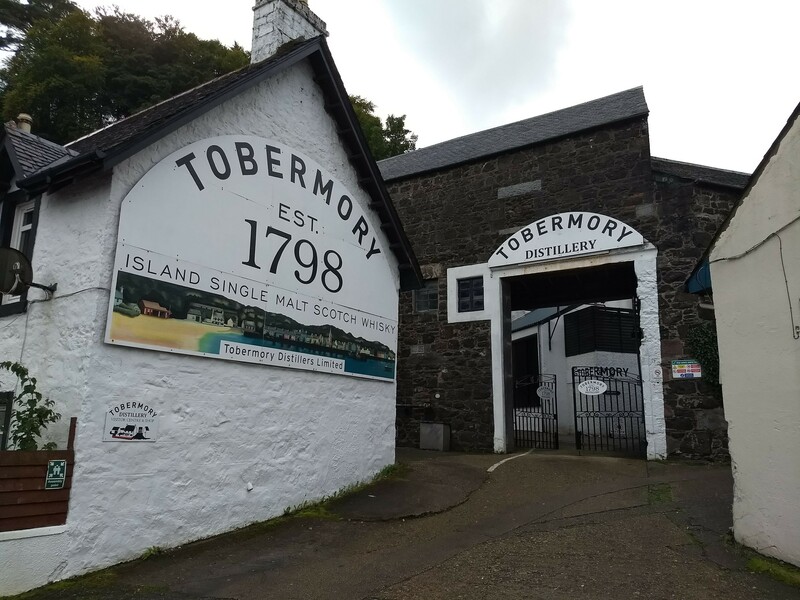 Theres an aquarium and the original Tobermory distillery which was founded in 1798. 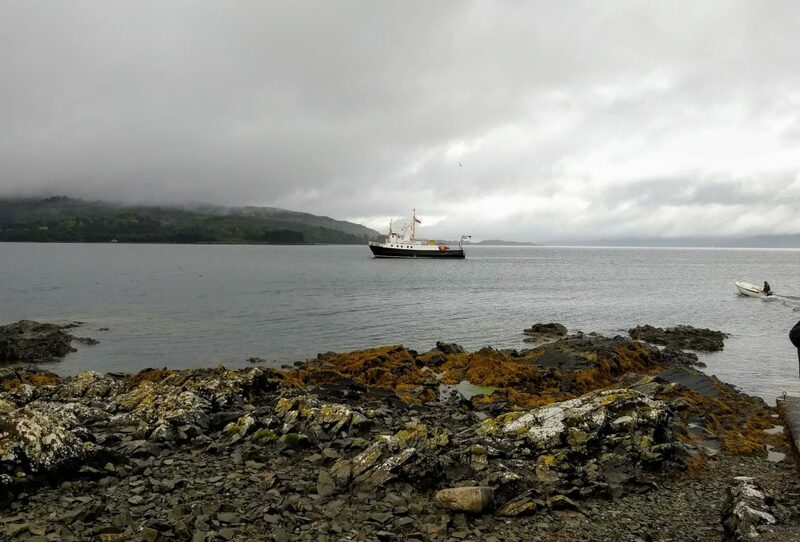 After the night in Tobermory we headed off to have the morning at Duart Castle. 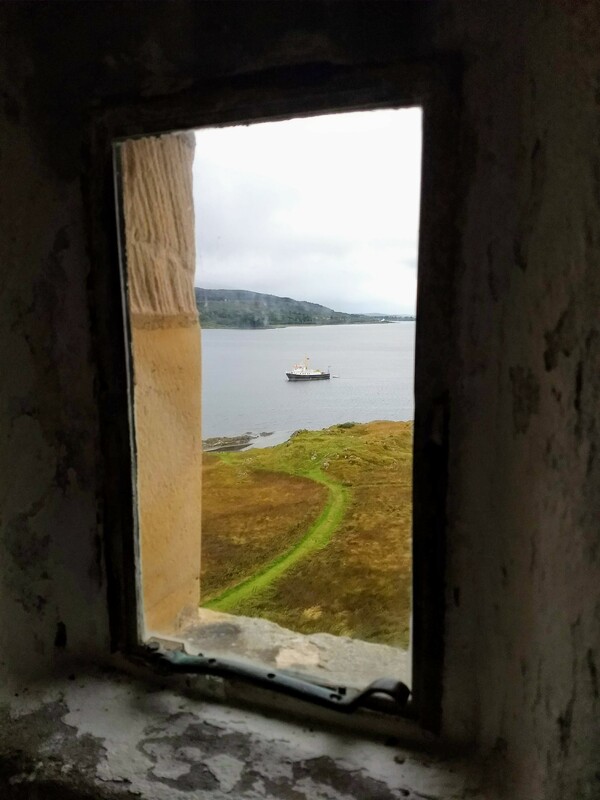 The castle was home to the Maclean clan and dates back to the 13th century. It has been used a few times for TV and film work icluding tge films When Eight Bells Toll and Entrapment. 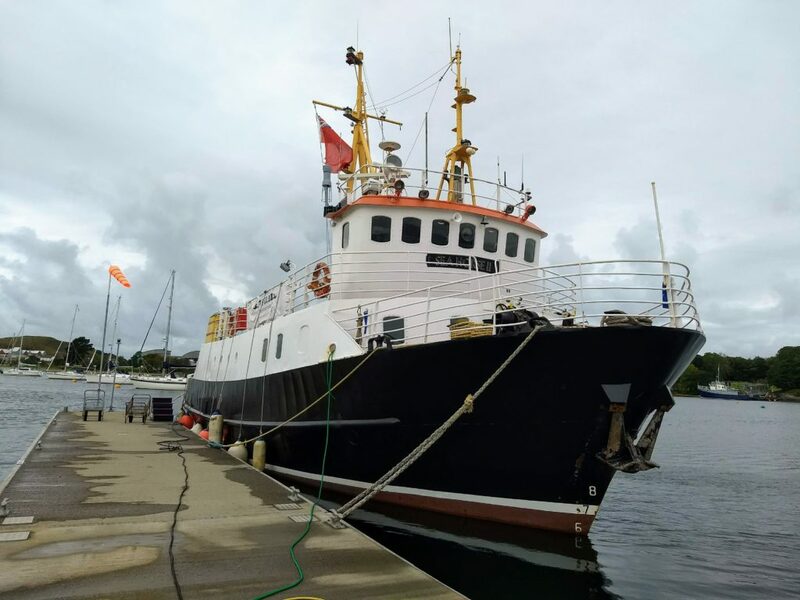 It is currently undergoing restoration after a 2014 appeal was launched to raise funds for irs survival. After the third day we heard warnings of another one of the big storms coming in. This was storm Ali coming in from the Atlantic. 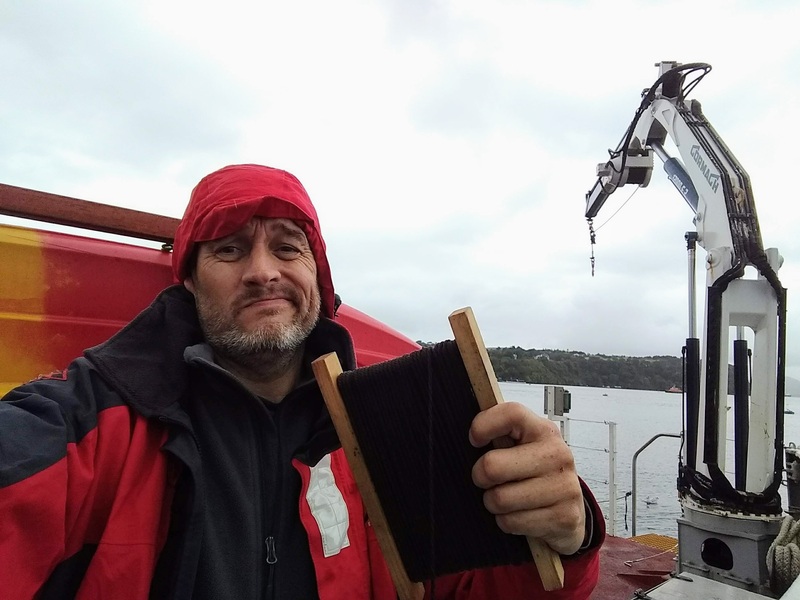 With warnings of up to 30-40 knot winds we took shelter back in Oban where we could tie up safely to the quayside. 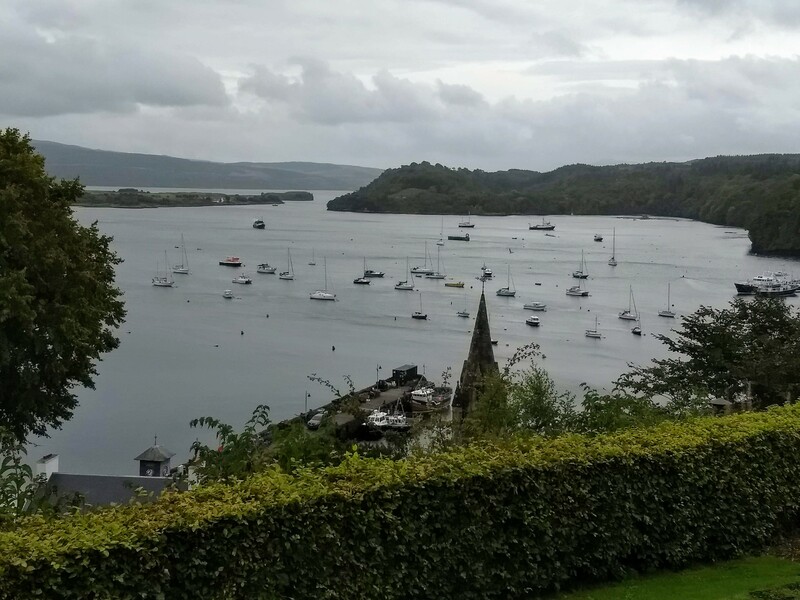 Some of the guests went to the local castle in Oban and some toured around town. 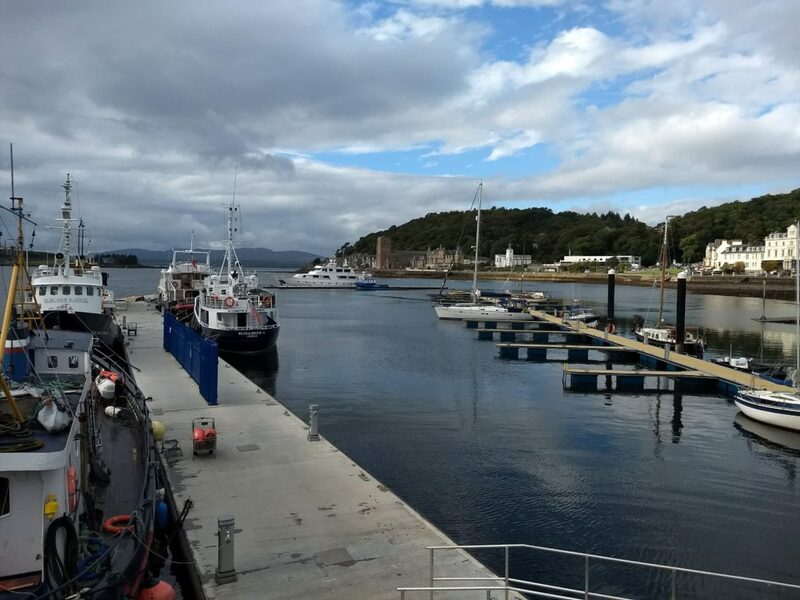 We returned to our base in Dunstaffnage marina after our 5 day/5 night tour. Even with the inclement weather (it was late September !) we all enjoyed the tour. Theres stunning scenary to be scene everywhere you look. 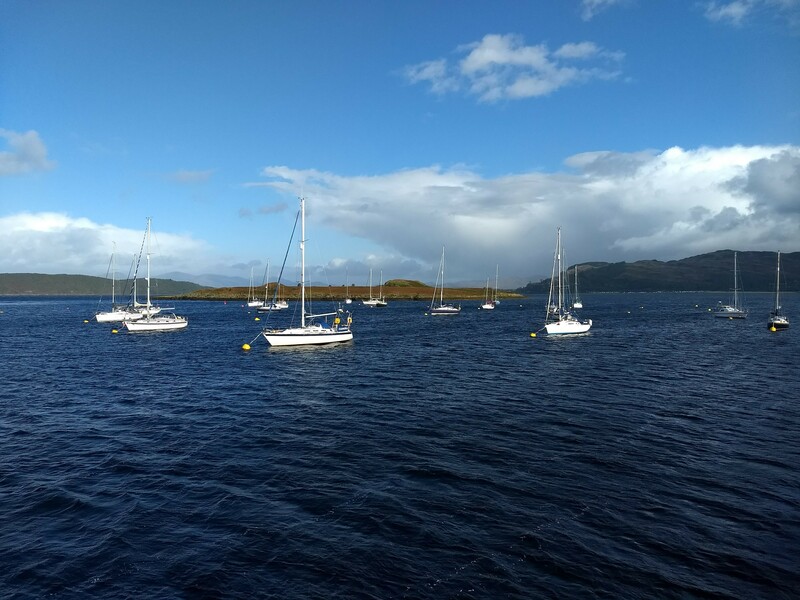 Back at the marina in Dunstaffnage – the sun came out on our return (just)! !